China isn't making life any easier for one of its leading smartphone makers. 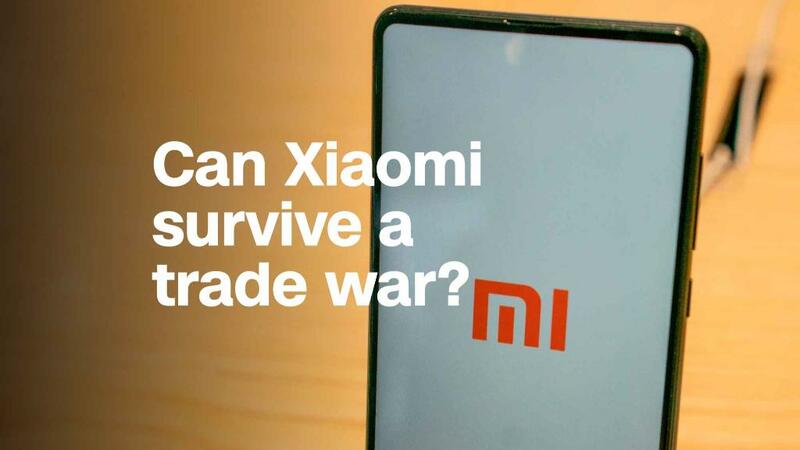 After a disappointing initial public offering last week, Xiaomi shares fell sharply Monday after mainland Chinese investors were denied the ability to buy into the company. Most Chinese investors have "a lack of understanding of these new types of securities," the Shanghai and Shenzhen stock exchanges said in a statement. 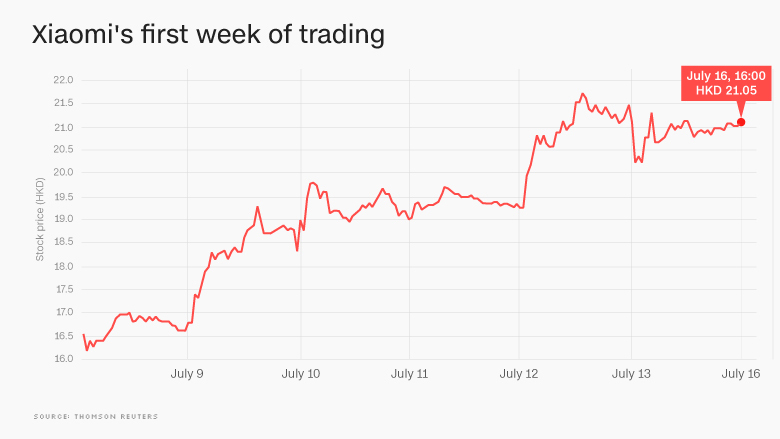 The news drove shares in Xiaomi down nearly 10% in Hong Kong during early trading Monday. They later recovered most of their losses, closing down 1.9%. The stock has gained almost 24% compared to its IPO price of 17 Hong Kong dollars. A spokeswoman for Xiaomi declined to comment on the ruling. Xiaomi went public in Hong Kong last week, and was the first company to do so under new rules allowing firms to list with dual-class shares, which US stock exchanges have allowed for decades. Hong Kong had hoped the new rules, and an existing trading link with the Shanghai and Shenzhen markets, would encourage more big Chinese tech companies to list on its stock exchange. Online services platform Meituan Dianping has filed to go public in Hong Kong. But Tencent Music, a streaming music platform, announced last week that it will list on a US stock exchange, despite the fact that its parent company, gaming and social media giant Tencent (TCEHY), is listed in Hong Kong. In recent years, several marquee Chinese tech companies — JD.com (JD), Alibaba (BABA) and Baidu (BIDU) — have chosen to go public in New York, favoring the model that allows founders and management to retain control and raise funds from the stock market at the same time. The Hong Kong stock exchange said in a statement over the weekend that it is working with mainland regulators to get dual-class shares included in the trading link with its Shanghai and Shenzhen counterparts. For Xiaomi, Saturday's ruling is just the latest disappointment for what was supposed to be a blockbuster public debut. The company raised $4.7 billion in its IPO, less than half of what it had reportedly been seeking to raise earlier this year. It then had a bumpy market debut last Monday, though shares did rally later in the week. Xiaomi had planned to take advantage of the new China Depositary Receipts program, which encourages companies to issue shares in Shanghai or Shenzhen while maintaining any existing overseas listings. But in a surprise move just days before the IPO, Xiaomi said it was postponing its mainland offering until further notice. Analysts said China's desire to promote its own program may have led it to block Xiaomi from the trading link between mainland Chinese markets and Hong Kong. "Mainland authorities were trying to promote China Depositary Receipts as a way for mainland Chinese investors to gain access to overseas listed shares of mainland Chinese companies," said Eugenie Shen, managing director at the Hong Kong-based Asia Securities Industry and Financial Markets Association.